Bates Sons & Daughters, Inc. has been a family owned and operated caladium business for over 65 years. 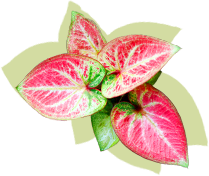 We pride ourselves on our high quality caladium bulbs and selections of varieties offered. All of our caladium bulbs are hand-graded and hand-counted by experienced employees. Caladiums Online offers the highest quality standard and unique caladiums. We offer only the large Number One and premium Jumbo caladium bulbs, which yield more and bigger leaves per plant. Our selections include exclusive, unusual, patented, and new caladium varieties. Prices are reasonable and have no added shipping and handling charges. With easy care and minimal maintenance you can have maximum color for your home, lawn and garden all summer long.